There’s a major shift happening in the Australian property market. By the time it’s over, many investors will be left seeking a new career. But those who see the trends will find themselves positioned to win… and win big. These changes have been brewing for awhile, but most investors haven’t noticed them yet. They still think all it takes to do well in property is to become good at spotting bargains faster than everyone else. In the past, once you found a diamond in the rough – you were off to the races. Funding a killer deal was the easy part. But now? We are entering a new era where funding is the new name of the game… and many investors are about to lose access to it. The Australian Prudential Regulation Authority (APRA) have just announced new regulations that have infuriated the market. These new regulations spell “Game Over” for many investors… but a small group of them is actually clapping their hands and shouting with glee. Look at the graph below, published by the Reserve Bank Of Australia in June 2017. Source: Reserve Bank Of Australia Bulletin June Quarter 2017 - "How Have Australian Banks Responded to Tighter Capital and Liquidity Requirements?" And as you can imagine – if these current regulations won’t do enough to calm APRA down… we can expect more limitations and buffers to be applied moving forward. Less funding options mean the herd is about to get thinner. People will either stick to smaller deals, or give up. But here’s the shocking secret most investors are unaware of: Accessing cash is easier than you have ever imagined! I should know – it’s how I went from being a minimum wage Postie to transacting millions of dollars worth of property in record time. So trust me when I tell you - there is a stack of lazy money out there crying out for a home… and I’m going to show you how to find it. Most investors have no clue about this money. They don’t have the slightest idea of how abundantly available this money is once you know where to look. The result? Hundreds of killer deals are passed on every day. Investors who are smart enough to spot a bargain are a dime a dozen. Savvy investors who know how to find creative ways to fund those bargains are a rare breed. And They Will Inherit The Lion’s Share Of The New Property Market! What I’m offering you today is exclusive access to a closed community of investors that will not only solve your funding problems immediately, but also provide the knowledge you need to survive and flourish in any kind of market conditions the future has in store. Introducing the Property Investing Partners Academy: An elite group of investors where joint ventures are born and lifetime wealth is created. You were free to make any deal you want without needing to jump through hoops, and had complete control over your financial destiny? Instead of begging the bank to lend you money, you had money partners lined up pleading to fund you, and you had the power to choose who to work with and on what terms? You knew where the high quality, hard to reach, potential partners are, and had the confidence (backed up by hands-on experience) to win them over anytime you have a new deal on the table? You developed laser-like focus and could quickly spot the deals that deserve your time, money, and effort – and left the lousy lemons to the chumps? You had a rock-solid reputation as one of the top “go-to JV partners” in Australia, because your practical knowledge put you in a very small, elite group of investors? You had complete confidence in your ability to negotiate the best rates of return, security of funds, and all other terms in any partnership? You could sleep well at night knowing no one could rip you off, because the little-known legal insights my own solicitor shared with you made sure you’ll never be left holding the can – even if a partnership went south? Your family was 100% taken care of… for life… thanks to your career in property? I can tell you from personal experience – it’s possible. I know because I climbed the ladder myself. I’ve reached the top. And now… I want to help you join me. I have engineered a groundbreaking way to get you from where you are today to being able to complete any project your heart desires – the fastest way humanly possible. A three-day lifechanging bootcamp where you will receive the actionable knowledge on how to tap into the lazy money that’s in the market, allowing you to start doing deals you previously could only dream of, as soon as you get back home. Custom tailored to your needs and to the deals you want to make, to guarantee you’re successfully applying what you’ve learned so far to solve any unique challenge you might face. An exclusive mastermind event providing you with a property network that can serve you for the rest of your investing life. Now remember, this isn’t for everyone. As I mentioned, The Property Investing Partners Academy is an exclusive program – but more about the application process later. For now let’s just say – people come to The Property Investing Partners Academy to work. Mentally, the ‘Lift Off’ event will be the most challenging, exciting, and rewarding three days of your life. Physically… you’ll be in heaven. 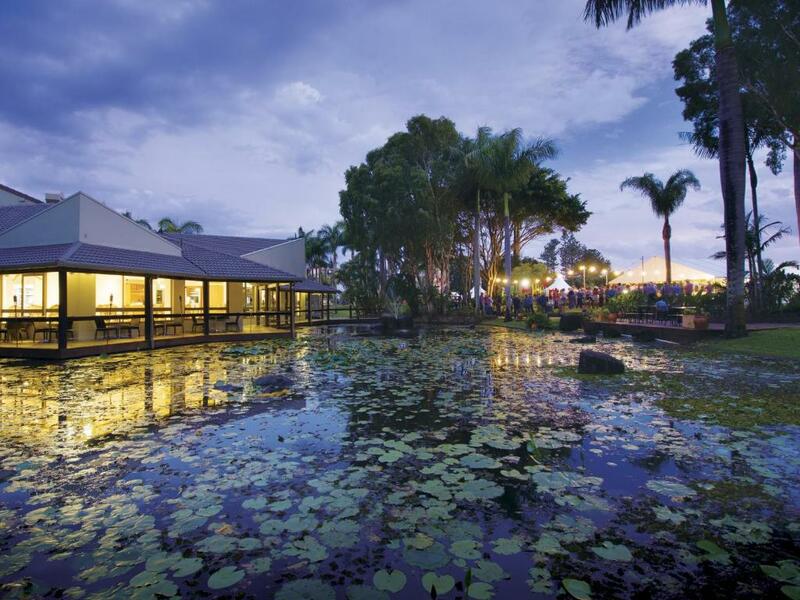 The next event will be held at the stunning tropical Oaks Oasis Resort in Caloundra on the Sunshine Coast, in the second half of 2018. Set amongst the backdrop of sweeping lush grounds, you will be pampered and enjoy a resort style pool, bar and restaurant, leisure facilities, and a dedicated event space saved exclusively for participants. The first hour or two of the day will be spent on what I call “strategic introduction”– interacting with other participants to determine where all other attendees fit into the ACSS formula (Ability to find deals, Cash, Servicing, Skills). Each member you’ll meet will be very strong in at least one ACSS aspect, but needs help with some of the other aspects. Whether you have time to find and manage deals but lack funding, or have funding but no time or skill – this session will put you on track to making the connections you’ve been missing. Combined, this means you’ll get rid of affordability and availability issues – once and for all. Sessions will generally last from 9am till at least 6pm with breaks for morning tea, lunch, and afternoon tea (on the house). On Friday we will break a bit earlier – at around 4.30pm – and meet an hour later for happy hour drinks at the beautiful lakeside bar. Then we’ll conclude our exciting first day with a mouth-watering, delicious dinner at the resort’s restaurant [also on the house]. Your Chance To Get Funded… On The Spot! In addition to the knowledge we will be “front-loading” you with, you will have a chance to pitch any deal you’re currently working on, get help with structuring your presentation, and assess other members’ deals. And of course, you will spend every evening with me and all other attendees, getting to know each other better and finding opportunities to work together. Here is my promise to you: When you leave the 'Lift Off' event, you will be ready to encounter any joint-venture scenario. You will have the confidence – based on real experience – to pitch, assess, and implement deals. In other words - you will have the expertise, connections, and insights that will make other investors line up and implore you to work with them. All you’ll have to do is pick your preferred partners. But if there’s one thing I’ve learned from over a decade of property investing and years of teaching it’s this… Most people get in their own way. Look, I can teach you everything you need to know. I can show you how to flourish in any market circumstance. But it won’t matter if as soon as you go home you return to your old routines, old habits, and old mindset. I have no interest in you leaving on Sunday thinking “wow, this was great” and leaving it at that. No way. I want you to get out of the rat race in the months following the ‘Lift Off’ event – and never look back. To achieve this result, you’ll need support and detailed, experienced-based feedback, as you start putting your new skills to use. That’s Why We Have Part Two Of The Academy! During the six months following the Lift Off event, you will have access to custom-tailored group mentoring sessions with me. We will teleconference every fortnight for 90-120 minutes. Then we will spend the next hour on deal-making. We will analyze together specific deals you or other members are considering and I will guide you in implementing the strategies you've learned in these real-world scenarios. A mortgage broker who foresaw the bank funding challenges ahead of time and has embraced joint venturing strategies with his own clients. He’ll show you when to use your own money, the bank’s money, or that of a JV partner to maximise profits. A lawyer with over two decades of experience who specialises in joint venture and money partner agreements. You’ll get access to his templates and receive guidance on how to use them, so your agreements are watertight. Two of my own joint venture and money partners that I’ve been working with for 10 years. You’ll see how we’ve helped each other to make hundreds of thousands of dollars by leveraging off of each other’s skills, cash and servicing abilities. You can post photos of potential deals, ask questions, and receive answers from me and other members of the community. This means you will get real time solutions without wasting time spinning your wheels. Once You’ve Cracked The Code… You’re Never Looking Back! The ‘Master Deal-Maker’ Graduation event. This will be your chance to consolidate the networks and relationships created between you, me, and the other members. We’ll brainstorm in intimate groups every member’s next move, so you’ll go home with a clear path to continue accessing profitable deals for the rest of your successful career. Morning tea, lunch and afternoon tea will be provided along with an awards dinner in the evening to celebrate your success in the Property Investing Partners Academy program. The Property Investing Partners Academy is not another info-product. It is a unique, demanding, hands-on experience that is a result of over a decade of doing property deals in every possible market condition. All of your tutors (me and my special guests) are in the market. This isn’t theory, it’s our real life. So you can be confident every session and every teleconference you attend will bring you the latest information on what’s really working, where the market is going, and how to be most prepared for anything that occurs in the future. This is a fluff-free program, engineered to do just one thing: turn you into a master deal-maker who will thrive in any market condition. Second, you need to be financially stable. This can’t be your “hail mary” – or your mindset will interfere with your progress and with everyone else’s. I’m sorry, there will be no exceptions to this rule. Third, you need to have a burning desire. Successful investors know their why. You too must have a reason to put in all the hard work required – or you won’t last the distance. The price tag isn’t cheap – but neither is spending a decade (or more) figuring these things out on your own. And frankly, I expect you to make a positive return on this investment before you even graduate. But of course – it’s up to you to take what you learn and put it into action. We are investing substantial time and expense to ensure the program creates massive success for you. The price tag guarantees only A-grade, financially stable players who can put money on the table and will be sitting in the room with you. You’ve now seen the trends and know why most investors will hit a glass ceiling in the next few months. And what will you be doing? That depends on what you decide today. You can choose to follow the crowd… or… if you act today, in less than six months you will climb to the top of the pile. But you need to make up your mind before it’s too late. If you like what you see so far, simply click the button below and fill out the application. Of course, everything you submit in the application is strictly confidential and will not be shared. I will personally look through your application and will get back to you within 72 business hours. If everything looks promising, I’ll set up a call to handle all logistics and answer any questions you might have. 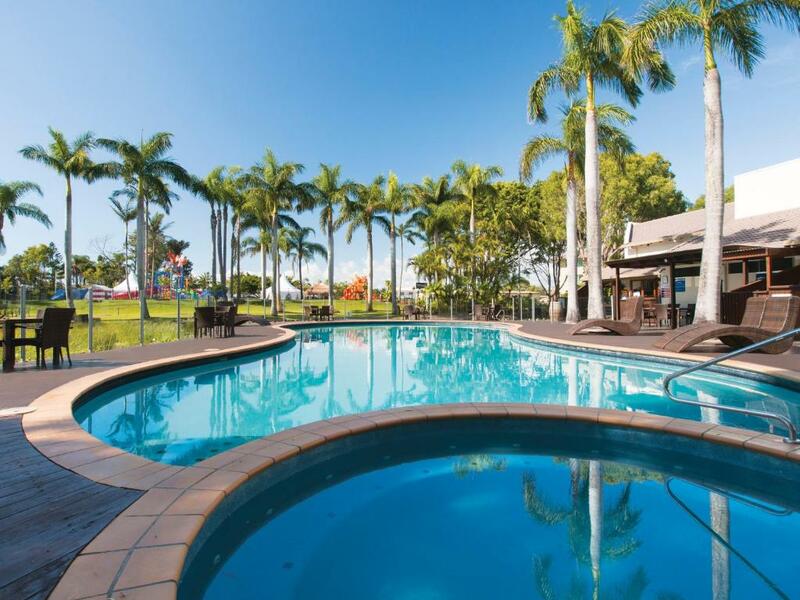 The next program's three day ‘Lift Off’ event will take place at the tropical Oaks Oasis Resort in Caloundra (Sunshine Coast) in the second half of 2018. Please answer the questions in the application form as completely and honestly as possible. There are no right or wrong answers, so don't second guess yourself. Just be you, and I look forward to reviewing your application and chatting soon. P.S. On a personal note, I want to thank you for reading this. I know you have a life-changing decision to make, and look forward to seeing you reach new financial and personal heights as a Property Investing Partners Academy graduate. I’ve certainly stuck my neck out this time, creating an event that frankly no one has ever done before in Australia. It has taken me ten years, over half a million dollars of my own money, and running hundreds of informal groups, meetups, and smaller events to reach this point. But still, the onus is on me. If you sign up for the Property Investing Partners Academy and you aren’t 100% convinced by the end of the first day of the ‘Lift Off’ event that this is everything you expected (and more! ), then I’ve instructed my team to issue you a refund cheque on the spot for every cent you paid of the attendance fee. You can leave in honor, and we’ll still be friends. In fact, I’ll even let you keep a few of the expensive goodies we’ll be handing out! But to tell you the truth, I don’t think there’s even the slightest chance you’ll even consider a refund. I’ve waited ten years to create something like this and I will pour every last drop of energy I have to make this my proudest achievement (other than raising three amazing kids). Even so, you have my personal guarantee. You be the judge. But you must apply now while the doors are still open. A: We will accept no more than thirty two (32) new members overall – but that number must be well balanced. We are looking for people to cover all 4 components of the ACSS Formula and having equal numbers of each will allow maximum deals to be done throughout the 6 month term. A: I am a big fan of you creating an aligned approach with your significant other. Having them on board during the program is hugely helpful. You can share access to any online or written content relating to the program with your spouse, live-in partner, or family members. What happens with you is confidential, and in return, I ask you do not share any information or passwords with anyone else without my express permission. Should your partner wish to attend the live events also, the cost for them is an additional $500 to attend the Lift-Off event, and $200 for the graduation event. If you wish to bring your significant other along to either of the live events, please make note of it in your application.